Celebrations of the Sea aims to honour the maritime industry’s unsung heroes. From the fishermen who brave the UK’s stormiest seas and traditional lobster pot makers who keep precious fishing traditions alive, to our most talented celebrity chefs who transform fish into some of the nation’s favourite dishes – all are celebrated in this unique and special photography exhibition. 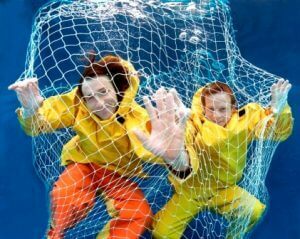 Born out of a partnership between national maritime charity the Shipwrecked Mariners’ Society and renowned underwater photographer and TV Producer Kate Westaway, the project is a celebration of those hardworking individuals who work in and around the sea. More information on those featured in the exhibition can be found below. As a nation we rely heavily on the sea practically and recreationally. Over 95% of all Britain’s imports and exports go by sea and fifty million people travel to, from and around the UK by ferry each year. The UK maritime sector directly employs over 250,000 people and is a £37 billion turnover sector, bigger than aerospace and agriculture combined. And yet too many former fishermen and mariners suffer from financial hardship. If you enjoyed our free exhibition please help support seafarers in need by making a donation in the nearby collection pots or by donating online. All donations will go direct to the Shipwrecked Mariners’ Society to support its work on behalf of the UK’s retired and impoverished fishermen and mariners. Events were held at Sea Life Centres around the UK, launching in Brighton; and then moving to Weymouth, Birmingham, Blackpool, and finishing in Scarborough. We hope you enjoyed the exhibition. from world-class surfing and diving champions to fishermen and celebrity chefs. Sue Morgan, from Hope Cove in South Devon, has been involved in the maritime industry for 25 years. 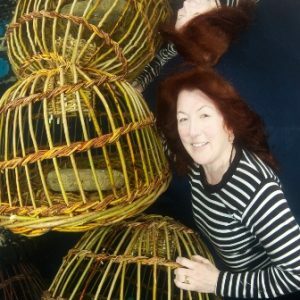 Sue makes traditional willow crab and lobster pots which are popular with visiting tourists and are frequently used on film sets. Her husband David served in the Merchant Navy and then worked as a crab fisherman for 35 years and is chairman of the South Devon and Channel Shell Fisherman Association.The couple have supported the Shipwrecked Mariners’ Society for a number of years through fundraising. 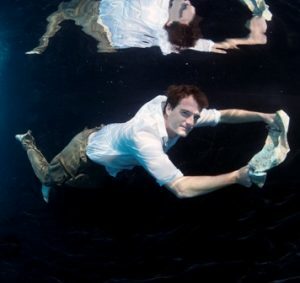 Dan Snow is an historian, author and broadcaster whose passion for the sea is all encompassing – from his respect for its vital role in military history to his own personal love of sailing and diving. Dan writes and presents many television programmes including his Empire of the Seas series in 2010 which charted the history of the Royal Navy, and a one-off programme, Little Ships which marked the 70th anniversary of Dunkirk and saw 50 of the original craft return to the channel to relive that momentous event. Dan was just seven years old when his father, Peter first took him sailing, and in 2001 they sailed across the Atlantic together to the West Indies. Now, following his marriage last year, Dan has realised another dream and lives within sight of the sea, near Southampton. Mike Golding is one of the world’s most accomplished and successful offshore sailors with over 250,000 sailing miles and podium success in many of the world’s toughest and most extreme yacht racing events. In 2001 he became the first person to have sailed around the world in both directions and was awarded the OBE for his services to the sport of sailing. He was FICO world champion 2005/6 and IMOCA world champion for two successive years 2004/5 and 2005/6; the first and only British sailor to hold this coveted title. Golding is already an avid supporter of the Shipwrecked Mariners’ Society and as part of the Society’s 170th anniversary, appeared in a short film produced by the charity to explain the importance of its work, thereby encouraging former mariners in need to come forward, as well as alerting potential donors to a cause worthy of their support. Born in Glasgow, from a very early age Gillian travelled the world with her parents eventually settling in Cornwall in 1982. Being a self-taught artist Gillian’s work is inspired by her love of the sea, sky, nature and travel, themes that reoccur throughout her work. She favours a vivid use of colour (regularly blues) with oil, acrylic, ink and mixed media her preferred mediums. Gillian’s father served in the Royal Navy for 25 years and her brother and sister-in-law are currently also serving. Living on the southern tip of Cornwall, Gillian has been aware of many local tragedies at sea off the Cornish Coast. By taking part in the project Gillian hopes to contribute to raising funds for the Shipwrecked Mariners’ Society. Dian (‘Cags’) Lacy is currently serving as a Search and Rescue Winchman, Winch Operator and Instructor operating around the world. Last year his bravery in one of the crew’s most dangerous sea rescues was recognised at the Shipwrecked Mariners’ Society’s Skill and Gallantry Awards. The crew of ‘Rescue 193’ were awarded The Edward and Maisie Lewis Award for their ‘professionalism, teamwork, determination and courage’ in saving the lives of four trawlermen who found themselves stranded 50 miles south of the Isles of Scilly in stormy conditions after their fishing vessel caught fire. Cags was given an individual commendation for his bravery after being plunged into the icy waters of the Atlantic during the rescue effort due to the stormy conditions. After being recovered into the helicopter and despite his ordeal, he elected to go back down for a second rescue attempt which was successful. An award winning food writer, restaurateur and fishmonger, Mitch Tonks can only be described as a seafood champion, recognised as one of the leading seafood chefs and restaurateurs in the UK. His knowledge, enthusiasm and energy have won him many accolades including Best fishmonger, Best fish restaurant and Restaurateur of the year. Mitch has 3 restaurants – RockFish Grill & Seafood Market in Bristol and The Seahorse and RockFish Seafood and Chips in Dartmouth. 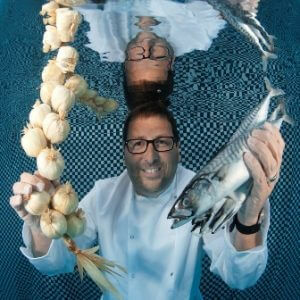 He is consultant chef for the boutique hotel in Salcombe, South Sands. He has starred in a TV Series with Matt Dawson called Mitch and Matt’s Big Fish! from UKTV Food. Charles Hattersley is a maritime lawyer who specialises in supporting those who work at sea, dealing with a range of issues from ship finances and salvaging vessels, to helping fishermen who have suffered personal injuries. Before becoming a lawyer, Charles spent 15 year at sea working as a deck hand for the Royal Navy and understands the risks which seafarers face every day. He is now based in Plymouth where he is a Partner at Ashfords LLP and has been representing the maritime industry for 23 years. Ellie is a naturalist, geographer and broadcaster known for presenting wildlife and rural affairs programmes for BBC1, Channel Five and Discovery. 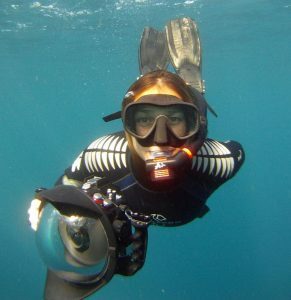 Ellie has filmed basking sharks, seahorses, sea gooseberries, seals, seabird colonies, the RNAS, and fishermen; sometimes in glorious sapphire sunshine waters, sometimes in peaky grey monsters. It’s then that she believes one comes to realise the mettle of those whose livelihoods depend on such a complex environment. Stamp and Go are a group of six Cornish sea shanty singers based in Cornwall who have performed at festivals from the Orkneys to Brittany. Formed three years ago, the group have their own weekend Shanty Festival on Perranporth Beach at the end of April each year. They write many of their own songs, which celebrate the lives of those who work at sea. The group have worked in a wide range of professions from trawlerman to teacher and from doctor to designer, but they are all united by their love of the sea and for those who work in and around it. This has earned them their place in the Celebrations of the Sea exhibition. Tassy Swallow, from St Ives in Cornwall, is the current UK surfing champion and came 7th in the European surfing championships last year. The 17-year-old has also won numerous other titles in the past few years including British, English and Cornish champion. She comes from a family with strong connections to the sea. Not only is she a distant relative of Captain Cook who was the first European to describe someone surfing in Hawaii and Australia 250 years ago, but her father is a keen fisherman and her brother is a fish chef. Tassy represents the younger generation who have strong connections to the sea and was keen to raise awareness of the Shipwrecked Mariners’ Society among her peers. Gary Hunt, from Southampton, is number one in the world for cliff diving, an extreme sport which involves jumping into the sea from 27 metre high platforms built into the side of cliffs. After beginning his career as a swimmer before graduating to diving and eventually cliff diving, Gary now splits his time between Southampton and Paris to facilitate a jet-setting lifestyle which involves him travelling all over the world to take part in competitions. He also regularly appears in a diving show at French theme park Walygator, in Lorraine. Rob has been fishing crab and lobster in the sea off the coast of Devon for 28 years and runs a wholesale business called Seafood House which supplies the family restaurant ‘Crab Shack’ in Teignmouth along with a number of other restaurants and food retailers across Devon. Mike Kingsley works alongside Rob at Seafood House and is a keen leisure fisherman. Rob has direct experience of the support offered by the Shipwrecked Mariners’ Society. When his fishing vessel capsized in stormy weather and one of the crew was lost, the Society provided support to the fisherman’s family and widow. As a result, the charity is close to Rob’s heart. The Shipwrecked Mariners’ Society was founded in 1839, to support ex-merchant seafarers, fishermen and their dependants in times of financial hardship. Its patron is HRH The Princess Royal. With a volunteer network of over 200 Honorary Agents throughout the British Isles, the Society handles several hundred new applications for assistance each year distributing over £1.5 million in over 2,600 cases of need, helping retired or disabled seafarers and their dependants in the past 12 months. Click here for more information about the Society. Kate Westaway has been taking pictures professionally since 2000 and has worked with a wide range of subjects from rare marine life across the globe to high profile stars such as Angelina Jolie on the set of Tomb Raider II. In addition to her photography, she also works as a freelance Assistant Producer in TV and has previously worked with Bear Grylls on the Discovery Series Man Vs. Wild. John West is one of the UK’s leading seafood brands whose fleet of ships has been out in all weathers since 1857, catching only the finest wild fish. Today, they still fish the world’s oceans with their own fleets and fishermen which gives them an immense understanding of the difficulties faced by fishermen and the industry. In recent years, John West has been the first to bring a number of innovative products to the market, from the very first tuna chunks and tuna in brine, to their latest innovation, No Drain Tuna Steaks which can be served straight from the can without the hassle of draining it. The company became involved in the Shipwrecked Mariners’ Society’s Celebrations of the Sea project as part of its ongoing commitment to being a responsible employer and supporter of the maritime industry. CEVA Logistics, one of the world’s leading non-asset based supply chain management companies, designs and implements industry leading solutions for large and medium-size national and multinational companies. Approximately 50,000 employees are dedicated to delivering effective and robust supply chain solutions across a variety of sectors and CEVA applies its operational expertise to provide best-in-class services across its integrated network, with a presence in over 170 countries. Hosting over 500 different species of sea creature with 35 centres across the globe, SEA LIFE is the world’s largest aquarium network. SEA LIFE hopes every visit will inspire guests to love creatures of the sea as much as we do after learning all about ocean conservation and SEA LIFE’s passionate work to rescue seals, sharks, turtles and sea horses. With so many centres to enjoy, activities and creatures vary at each SEA LIFE location. Please check www.sealife.co.uk to see what is on offer at the SEA LIFE centre you wish to visit.